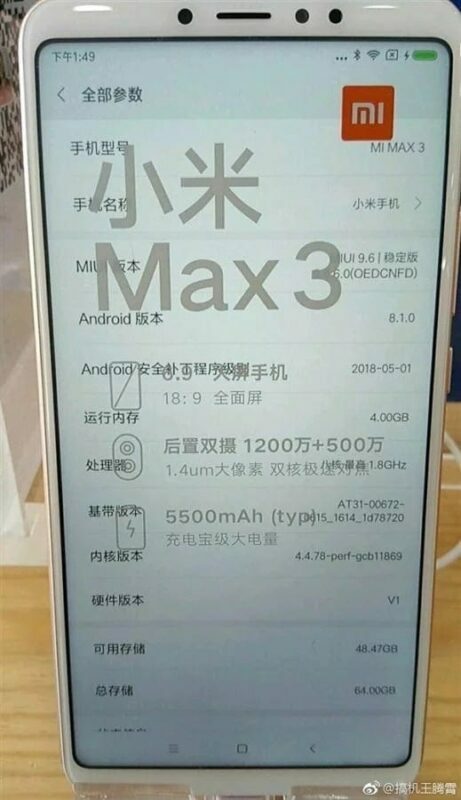 Last month, Xiaomi Mi Max 3 appeared on the TENAA China Certification Authority website with an 8-core processor, clocked at 1.8GHz, and since then many have suggested the chipset could be the Snapdragon 636. A new image of Mi Max 3 has been posted online, which captures the “About Phone” screen and confirms that the smartphone will be powered by Qualcomm’s Snapdragon 636. Earlier rumors suggested that Mi Max 3 would use the Snapdragon 660 processor. 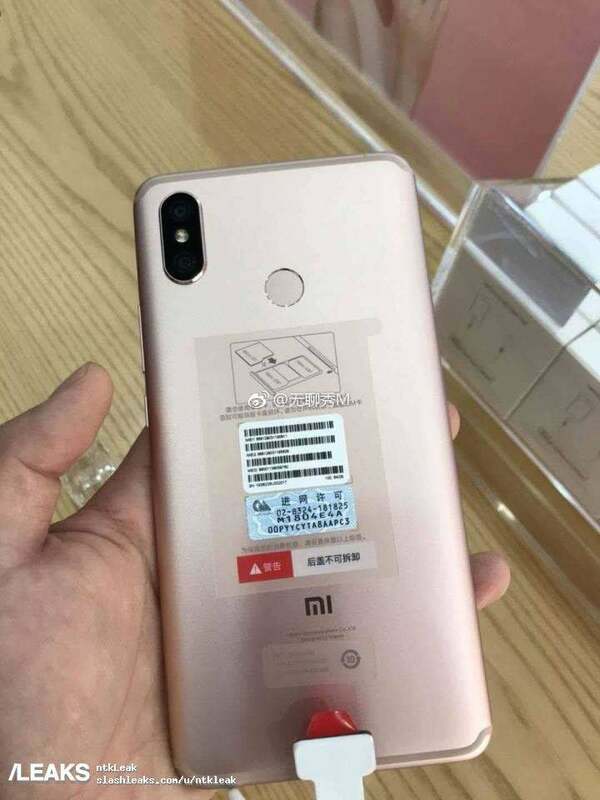 However, with these new leaked images, it was possible to make sure the machine would own Snapdragon 636, the chip that was used by Xiaomi on the company’s Redmi Note 5 Pro smartphone. In addition, the processor also incorporates 4GB of RAM and 64GB of internal memory, of which 49GB is available to the user. 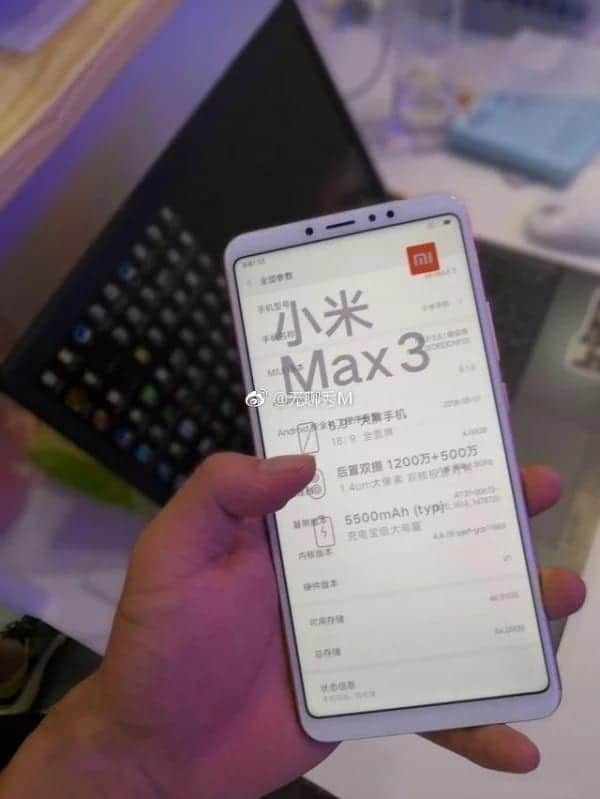 Mi Max 3 revealed before the launch. As expected, Mi Max 3 will have optional up to 6GB of RAM and 128GB of internal memory. 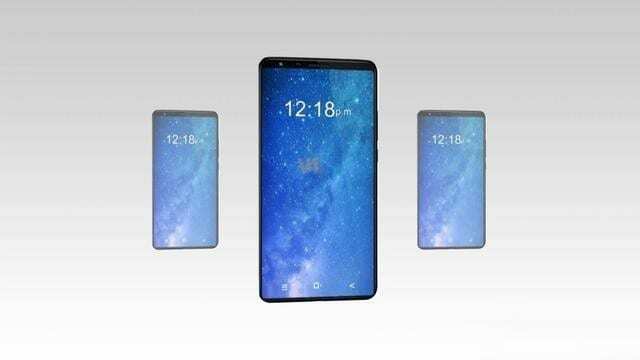 Other rumors also suggest that the most advanced version of the handset will be called the Mi Max 3 Pro and comes with Qualcomm’s Snapdragon 710 processor. Via the leaked image, we can see Mi Max 3 will be equipped with Snapdragon processor 636 from Qualcomm. The Xiaomi Mi Max 3 has a 6.9-inch screen (larger than its predecessor), Full HD + resolution, 18: 9 aspect ratio. The back of the unit is a 12MP + 5MP dual camera cluster, where the main camera uses the Sony IMX363 sensor. Previously, Redmi Note 5 Pro also has a 12MP dual camera (Sony IMX363) + 5MP, so it’s likely that the Mi Max 3 will be equipped with a dual camera system similar to Redmi Note 5 Pro. Dual camera system on the back of the device. On the front, the camera has an 8MP camera for selfie imaging and video calling. Mi Max 3 comes with a huge battery capacity of 5,500mAh and will be officially launched on July 19 next.